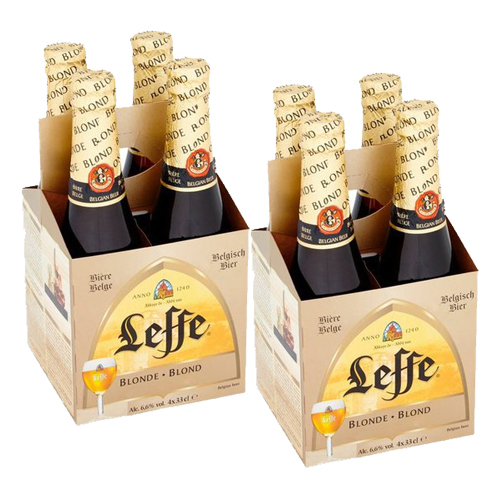 Leffe Blonde's bitterness is delicate, extending over the whole palate and lingering as a subtle aftertaste. A clove spiciness - naturally produced by the traditional yeast strain - creates an exotic, spicy note signature to Belgian Abbey style beers. Pair Leffe Blonde with meat dishes like grilled pork loin and pan-fried steak, smoked salmon, and a range of subtle cheeses. In the fifties, an extraordinary meeting took place that all beer enthusiasts should raise their glass of Leffe to. 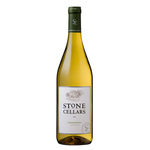 The abbey's Father Abbot Nys became acquainted with Albert Lootvoet, a master brewer. Passionate about the future of the brewery, Father Nys was upset to have to witness how, since the unpleasant stay of the French revolutionaries, the brewery had slowly fallen into decline and had eventually had to close its doors in 1809. Such a magnificent place could not be forgotten, he believed, and he vowed to bring the Leffe beer back. Father Nys and the brewer set about the challenge with vigour...and succeeded. Shortly after, the Leffe brewery was back in full effect. 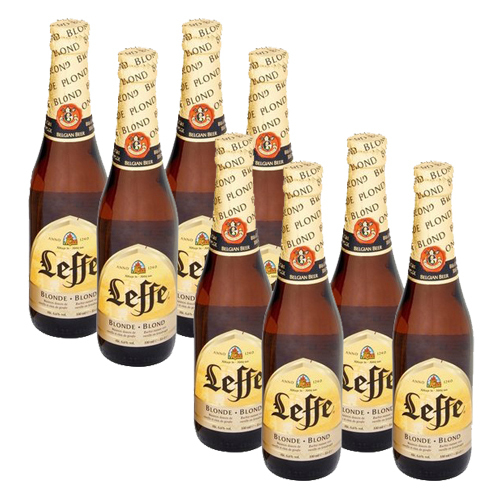 After Leffe Brown, a beer that shone brighter than the sun saw the light of day; they named it Leffe Blond - a beautiful chapter for Leffe indeed.